As our world is warming under climate change, heat waves are becoming more frequent and intense, yet the vulnerability of our wildlife to such events is poorly understood. 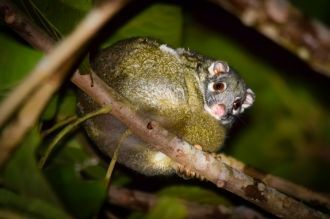 New research from Australia’s Wet Tropics indicates that the area where maximum temperatures are survivable for the green ringtail possum (Pseudochirops archeri) could shrink by over 85 percent this century due to climate change. Green ringtail possums can prevent dehydration when exposed to temperatures above 30°C by storing water in their bodies instead of losing it through evaporative cooling. However, dehydration becomes limiting when the possums are exposed to temperatures above 30°C for more than five hours for at least four consecutive days. 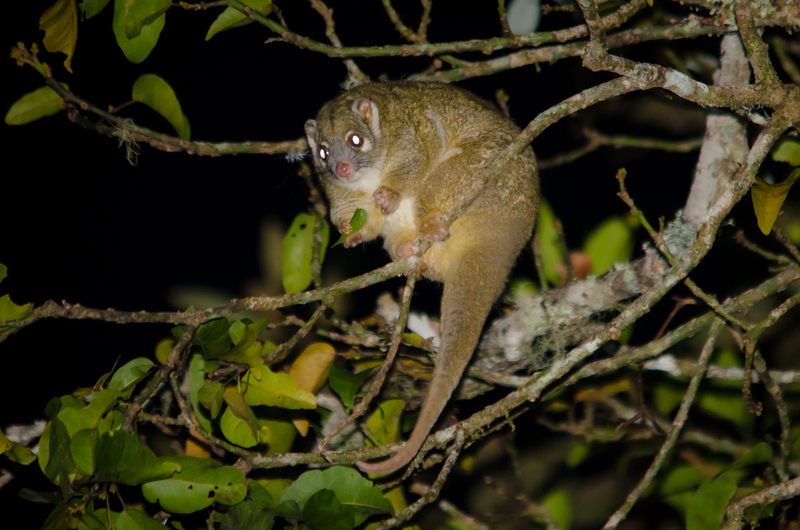 Scientists at Western Sydney University and James Cook University have used this knowledge about the thermophysiology of the green ringtail possum to map the areas that are thermally suitable for the possums in the future under different climate change scenarios. They showed that under their more severe, business-as-usual scenario, the area where maximum temperatures are currently survivable for the green ringtail possum would be reduced by more than 6,000 square kilometres by 2085. This reduction would leave most of the present possum habitat uninhabitable for the species and poses a severe threat to the possum’s long-term survival. “Our biodiversity is increasingly threatened by extreme heat events, but it has proven difficult to predict the responses of wildlife to these events”, explains Dr Justin Welbergen, Lead Scientist of the Animal Ecology Lab at Western Sydney University. This research represents a promising method for mapping the vulnerability of species to future changes in the frequency and intensity of extreme heat events and provides key outputs for effective conservation management. “Our methods allow us to map the areas that will remain thermally suitable for green ringtail possums in the future, and help ensure that conservation and habitat restoration efforts are targeted to the most important locations in the landscape”, explains Dr Jessica Meade, Lecturer in Movement Ecology at the Hawkesbury Institute for the Environment. “Our methods can be applied anywhere where detailed information on both thermal tolerances of animals and daily weather are available, and as such can inform the efficient deployment of limited conservation resources”, Dr Meade says.